The bar is fully stocked with a large selection of real ales, beers, ciders, and spirits. Coffee is also available. The bar benefits from a large screen TV, BT Sport and free WiFi. The patio area has recently been refurbished, and is a very relaxing area in which to enjoy your refreshments. BBQs are held from time to time, so look out for the next event here. of match play standard. The metering costs are 50p per twenty minutes. 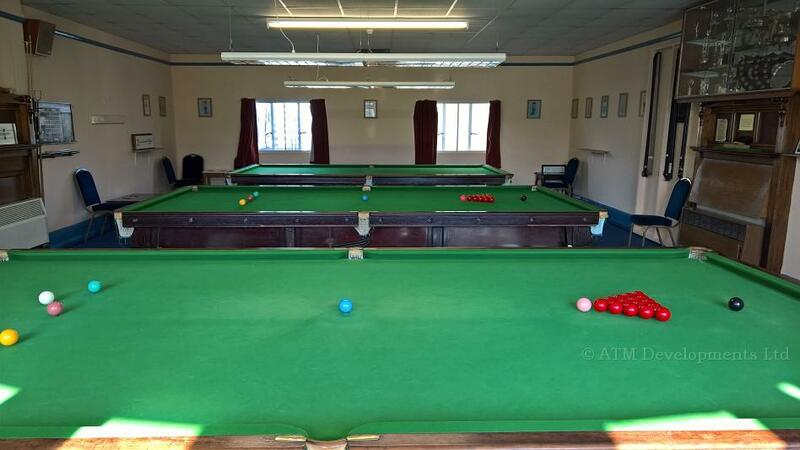 The club has a function area which can be let to members and non-members for birthdays, weddings, funeral receptions and other celebrations. The club benefits from a large car park. Drivers are reminded to display a parking disc, available from behind the bar. Failure to display may result in a parking ticket and fine. A meeting room is also for hire.